Apologies for our late blog post, but summer time usually means things take a little bit longer. After all, when the sun is shining there’s very little incentive to sit indoors and thrash out copy for the website. Plus most of us currently have broods of out-of-school children to entertain, which is a distraction all by itself. 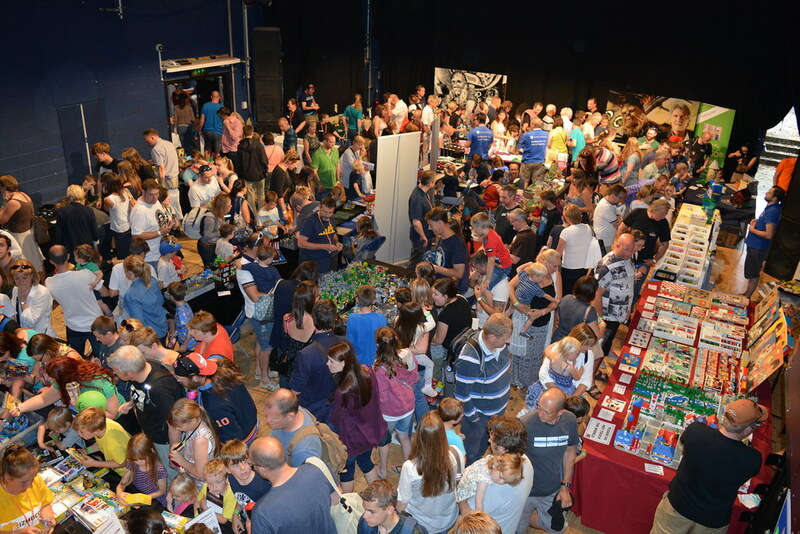 Anyway, this is a quick report on the first ever West Country Brick Show, which took place in Exeter's Phoenix Centre on the last weekend of July. This event was organised by Darren Smith, Lewis Aylmer, Marc Reid and our very own builder, Simon Pickard. 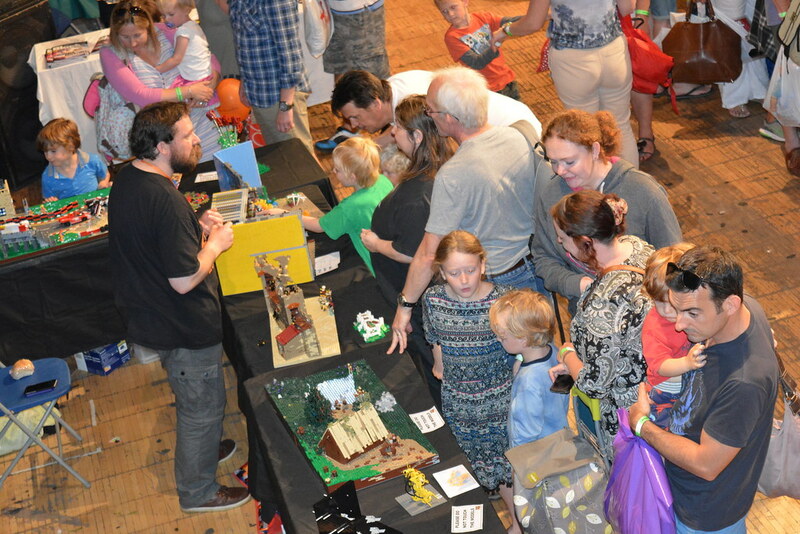 Unfortunately, Brick to the Past could only be present in a very limited capacity as most of our models are still in Rheged, however Simon and James Pegrum were able to take along some excellent smaller scale displays, which we are delighted to say were well received. Busy day at the Phoenix Centre. Simon dispenses Lego based wisdom. The show raised funds for three charities; the RCN Foundation, who offer financial support and career development opportunities to UK nurses, midwives, health care assistants and nursing students; St. Loyes Foundation, an Exeter based charity that for over 75 years has been working to transform the lives of disabled and disadvantaged people in the area; and Fairy Bricks, who provide Lego sets to sick children in hospitals throughout the UK. We congratulate the event organisers and hope that there will be many more shows to come.